Living Well strives to make sure you are confident when making the decision to move into senior living. We will make the transition as stress free for you and your loved one as possible. 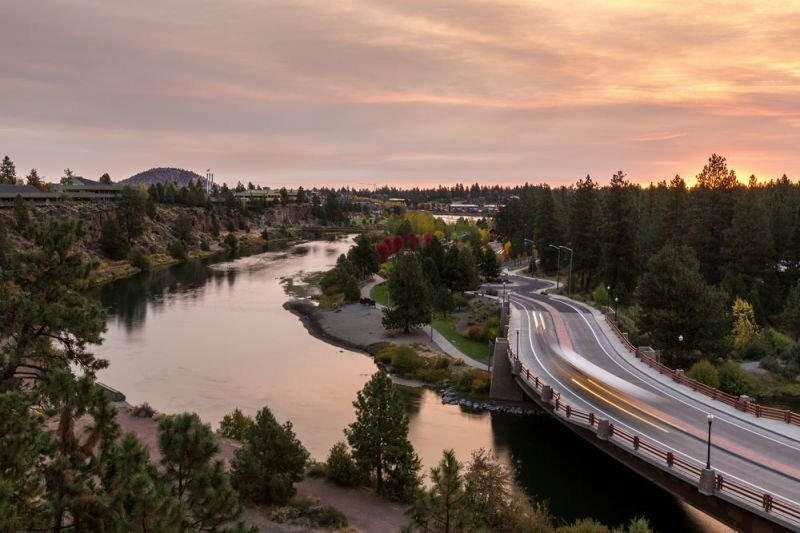 Bend Oregon is a beautiful city settled near the Deschutes River and Cascade Mountains. It has a thriving outdoor community, making hiking and sightseeing a huge pastime. If you or your loved one enjoys the outdoors, then Bend is the place for you.. There are also multiple art collections outside to either walk or drive through, and many theaters (indoor and out).Bend, OR holds a film festival every year for all ages to enjoy. If plays are more your style, there are quite a few theater troupes that travel through Bend.. There are concerts at the amphitheater and so many more events all year long to keep one entertained and culturally satisfied. Senior care facilities offer many of their own activities, but most offer transportation into town for the festivals, shops, doctor and dental appointments to help your loved ones feel connected to their community. With this information, we research the best housing options that will meet their specific needs. Every client is unique and needs , personalized options. Through the entire process, weeducate you and guide you through the process to make sure you are fully confident and comfortable with your decision. About: Living Well is focused on giving you unbiased options in senior living, nursing homes, retirement communities, memory care facilities, assisted living and more in Bend, Oregon. This is a free, personalized placement service based on the unique characteristics and needs of your loved ones. Click here to meet meet our Bend, OR senior living placement team, or contact us to get the placement process started!